In 1949, Pakistan seized control of Gilgit-Baltistan with the Karachi Agreement – without including any local leader in the decision. Since then, the region has been in a constant state of political and constitutional limbo. All forms of dissent against the Pakistani occupation have been violently suppressed; in recent times, under the flimsy pretence of “fighting terrorism”. If the international community continues to ignore the plight of the region’s indigenous people, the situation is likely to deteriorate even further, as Gilgit-Baltistan is of an area of significant strategic and economic importance for the whole region. Prime Minister Narendra Modi’s reference to Gilgit-Baltistan may have had the strategic objective of countering Pakistan’s claim on Jammu and Kashmir. In doing so, he has also focused attention on the almost forgotten history of a strategically-located region whose political fate is cloaked in ambiguity. There are two independence days for over one million people in the disputed Gilgit-Baltistan: 14 August when Pakistan celebrates its independence, and 1 November, when the region remembers its freedom that, ironically, lasted for only 21 days in 1947. Since then, sovereignty and any constitutional status in Pakistan have remained vague and elusive for this Shia-dominated region, through which runs the river Indus and is home to many spectacular mountain peaks, nearly equal in height to Mount Everest. Previously known as the Northern Areas, it borders China and Afghanistan to the north, Pakistan’s Khyber-Pakhtunkhwa province to the west and India to the east, leading to the frozen battlefield of the Siachen glacier. The location makes it as strategically important for China and India, as it is for Pakistan. As far as India is concerned, Gilgit-Baltistan was part of the erstwhile Jammu and Kashmir state that existed in 1947 and, therefore, included in the territorial dispute with Pakistan. Pakistan does not buy this. It says the region, which was incorporated in Jammu and Kashmir by the Dogra rulers in 1846, had actually never been part of the princely state. To support its claim, Islamabad cites a 1935 lease deed that gave control of the region to the British for 60 years. Pakistan says that the Dogra kingdom had rescinded the control of the territory and the last Jammu and Kashmir king, Maharaja Hari Singh, had no authority on the region, spread over nearly 73,000 sq km. When the subcontinent was divided in 1947, the region, like the rest of Jammu and Kashmir, found itself neither part of India nor Pakistan. Even though the lease deed with the British was cancelled on 1 August 1947, and the Dogras were effectively again in charge of the region, Hari Singh faced a rebellion by a local commander of the Gilgit Scouts, Colonel Mirza Hassan Khan. Khan declared Gilgit-Baltistan as an independent entity on 2 November 1947 – two days after Hari Singh acceded to India on 31 October. Twenty-one days later, Pakistan moved into the region and annexed it militarily. Till April 1949, Gilgit-Baltistan was treated as a part of the Kashmir that was occupied by Pakistan. But on 28 April 1949, a pact – called the Karachi Agreement – was signed with the government of Pakistan-administered Kashmir that gave control of the affairs of Gilgit directly to the central government, then based in Karachi. Significantly, no leader from the region was part of the agreement. Pakistan later “gifted” a part of Gilgit-Baltistan towards the extreme north to China for the construction of the Karakoram Highway. China has been pursuing an aggressive engagement strategy in the region by making huge investments to tap its mineral and hydel power resources. Chinese inroads in the disputed region and Pakistan’s repressive rule amid alleged human rights abuses have triggered a separatist unrest in the region. 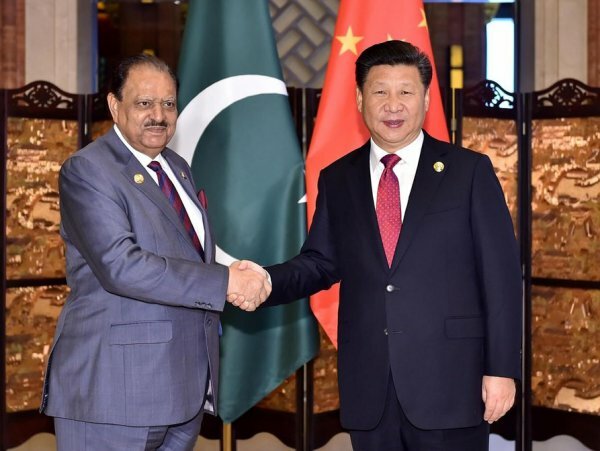 Still, there are enough reports filtering through that say the people of the region are strongly resisting the 3,000-km-long China-Pakistan Economic Corridor (CPEC) in which Beijing has invested over $46 billion. The corridor will link western China to southern Pakistan through a network of roads, railway lines and pipelines. Pakistan says that the project will bring about socio-economic changes in the impoverished region. But locals fear that it is being done to engineer demographic changes in the region and want to be included in any possible India-Pakistan negotiations to solve the Kashmir dispute. Pakistan has militarily crushed any dissent in Gilgit. In a latest example of its repressive rule, Federal Minister for Planning Ahsan Iqbal has threatened to invoke stringent anti-terrorism laws against those protesting against the CPEC, according to Gilgit activist Senge Hasnan Sering. Sering, based in Washington, is the president of Institute for Gilgit Baltistan Studies and backs the resistance movement in the region. The government warning comes days after the separatist Awami Action Committee of Gilgit-Baltistan called for an indefinite strike for rolling back of the CPEC.